Minneapolis Wind Farm to Help Meet Minnesota's Mandate for 25 Percent of Its Electricity from Renewable Resources by 2025. National Wind, LLC is partnering with a community in Minnesota to form and capitalize High Country Energy, LLC. 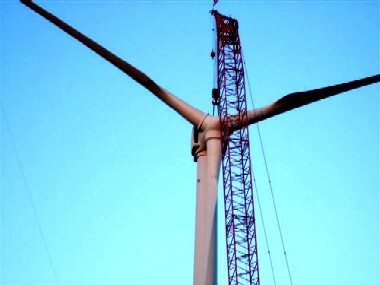 When completed, it will be the largest community-owned wind energy project in Minnesota and in the country and is expected to qualify for C-BED status, meaning it is owned by Minnesota residents and that 51 percent of the profits are returned to the Minnesota community members over the life of the project. National Wind will manage the development and construction of High Country Energy's 300 megawatt (MW) wind farm located in Minnesota's eastern Dodge and western Olmsted counties. High Country Energy, LLC was formed by National Wind in partnership with seven members of the community that invested in the project: Barry Rogne, Bryant Hokeness, Dan Hoffman, Eric Lee, Ken Binkley, Kevin Green and Larry Larson. "We are grateful to the community for their strong local support of this project and to the local landowners who have decided to partner with us," said Pat Pelstring, co-founder and chairperson of National Wind. "This is a ground-breaking community-owned project because it compares in size to some of the nation's largest utility projects." "This allows the project to take advantage of economies of scale not normally available to community-owned projects. It is owned by the local community with significant financial returns for the local community." Minnesota has created incentives to promote community-based energy developments through the New Generation Energy Act of 2007. National Wind supports this effort with a landowner-based development model designed for larger scale projects. The New Generation Energy Act of 2007 has required utilities to commit to allocating space on the grid for 1200MW of C-BED projects by 2025. The wind farm will also be utilized to help meet Minnesota's mandate for 25 percent of its electricity from renewable resources by 2025. "I'm proud to partner with National Wind because they are truly committed to local ownership of wind projects," said Barry Rogne, chairman of the High Country Energy, LLC, members Advisory Board. "They are an experienced wind energy developer and offer the guidance we need to make this project an overall success. I have directly participated in the development process and look forward to the positive impact the project will have on our local economy." 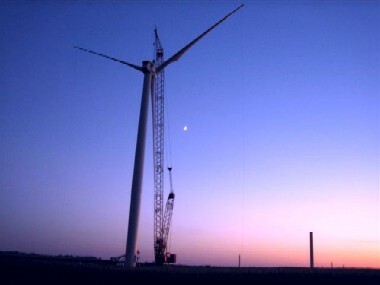 National Wind, headquartered in Minneapolis, Minnesota, is a leader in the development and management of utility scale (50 MW or more) community wind energy projects. National Wind and its development subsidiary, "Wind Energy Developers, LLC," have participated in developing 12 wind energy projects and currently have over 1,000 MW in development throughout Minnesota, Iowa, North and South Dakota. Jack Levi isn’t a stranger to community development projects. He has spent the last 4 years developing community-wind based projects and the previous 15 years in investment banking. To even begin to think about building a community wind project, there are certain steps that one needs to take. Levi discusses these steps and their importance to the overall process. Q: How do projects start for you? Jack: Projects usually begin with an existing group coming to us and asking us to help them develop a project. Many communities find that small scale community wind projects are not economically viable. We are one of the few groups with experience developing utility –scale community projects. Q: What’s involved in your investigation and research to determine a site’s wind potential? Jack: If we thing a project has potential and the group wants to partner with us, we will conduct a feasibility study to determine whether a project is economically and technically possible. This is a very intense, time-consuming process. One thing that makes National Wind unique is we have the resources to do most of the feasibility studies in-house. We go to great lengths to ensure that we explore, identify and obtain all the necessary information needed to determine if a project is feasible. We deliver our findings to the landowners and we jointly decide if we should proceed further. Q: Do you do a wind resource assessment? Jack: We do conduct a wind resource assessment because it is a key component to validating a site and future success. There are three basic steps to identifying and characterizing a wind resource: prospecting, validating, and micro-siting. Prospecting is a preliminary evaluation of the wind resource area. We study wind and topographic maps and existing wind speed data. The next step is the validation process when we gather the most valuable information. We go out to the area and site the location for placement of wind measurement equipment. This equipment, in the form of metrological towers, is deployed on the property to collect wind speed data including the temperature, pressure and direction of the wind. Placement of the metrological tower and collection of the data is highly technical. This data determines the wind’s seasonal patterns and variations. The final step is micro-siting, we analyze the met tower data to identify the best location for individual turbines using a combination of complex modeling tools. We have in-house resources to perform all these steps. Q: How is it financed? Jack: We have outstanding relationships with institutional investors to provide the financing needed to build the projects. Because of the complex tax laws, capital structures become complicated, however, we have years of investment and finance expertise to get a competitive, sound deal. Q: How do you sell the electricity? Jack: We have strong, on-going relationships with the utilities in the region. We contact them and begin the process of negotiating what is called a power purchase agreement. Although this is a highly complex contract that takes months to finalize, we understand what the utilities are looking for and work hard to initiate an agreement that best reflects everybody’s interests. Q: What about environmental and permitting considerations? Jack: Environmental, federal, local, and state permits are carefully evaluated. We work hard to ensure that the project proceeds in a fashion that retains the environmental integrity of the land and is acceptable to the regulators and the local community. We have the zoning and permitting expertise to get the job done right. We take into consideration noise impacts, visual aesthetics, soil erosion and air and water quality issues, public health and safety concerns along with biological concerns for wildlife. Jack: Determining a site’s ability to connect to an existing transmission line is an important contingent for every project. Although providing transmission is a complex process, we are experienced in working with utilities to ensure there is enough capacity available to develop our wind projects. Q: Can a community serve as their own developer? Jack: There are a few individuals that have successfully developed their own projects, but not many people have done so. Most people become overwhelmed and confused with the regulatory structures, the complications of financing, and the difficulty in negotiating with utilities. 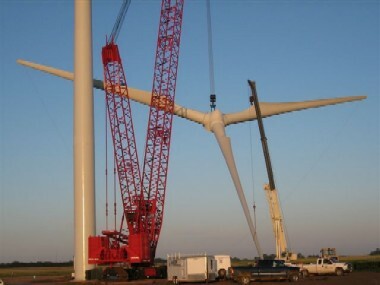 The process to complete a successful wind project is exceptionally intricate and detailed. Communities will benefit by working with an experienced developer.